YUMURTALIK, TURKEY. 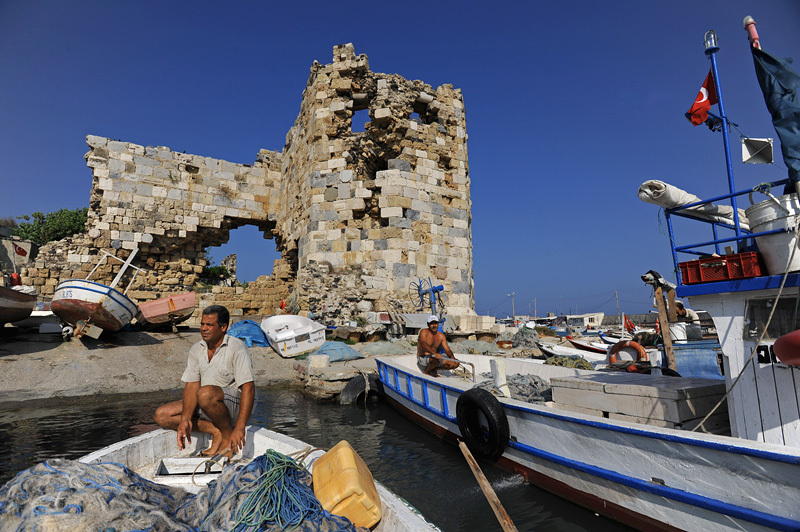 Mehmet Erzin, 40, a fisherman, leaves from the port of Yumurtalik, Turkey late in the afternoon on August 15, 2010 to go lay down his nets in the Mediterranean Sea. Many fisherman complain of depleted stocks and environmental damage resulting from the growth of industry and industrial dumping from a nearby thermal power plant after the construction of the end terminal of the Baku-Tbilisi-Ceyhan pipeline was completed and located so close to their ports.